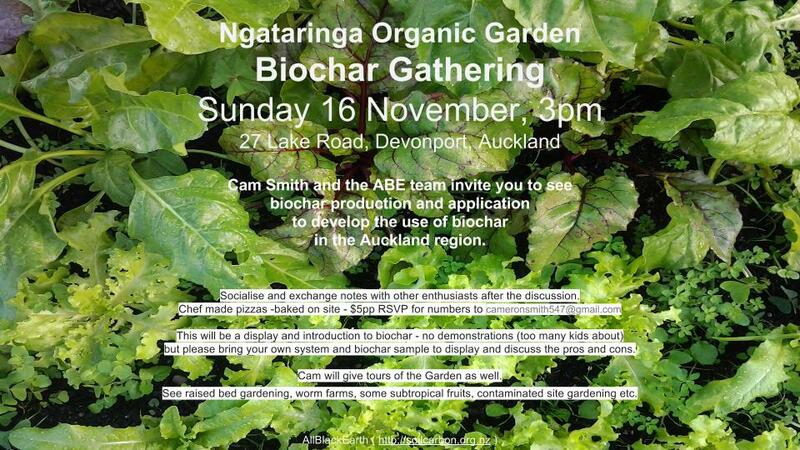 Cam Smith and the ABE team invite you to see biochar production and application to develop the use of biochar in the Auckland region. 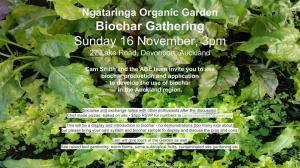 This will be a display and introduction to biochar – no demonstrations (too many kids about) but please bring your own system and biochar sample to display and discuss the pros and cons. Cam will give tours of the Garden as well. 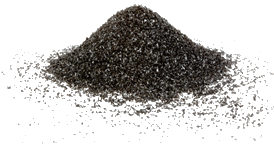 See raised bed gardening, worm farms, some subtropical fruits, contaminated site gardening etc.